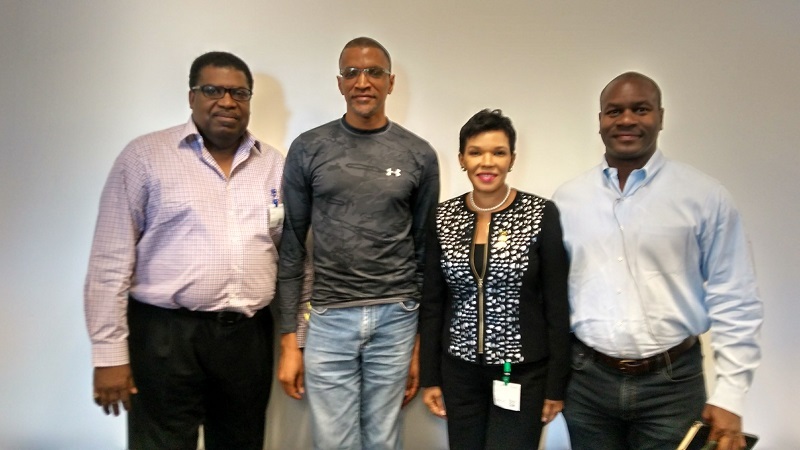 On August 25, 2017 members of the Jamaican Diaspora in Silicon Valley met at Google with the Jamaican Ambassador to the USA, the Honourable Audrey Marks. Ambassador Marks spoke about the Government of Jamaica’s (GOJ) goal to achieve five percent growth in Gross Domestic Product within four years. There will be a focus on a number of industrial sectors including, tourism, mining, and information and communications technology (ICT) . The group also discussed ICT related business process outsourcing (BPO) activities in call centers. She also outlined plans to strengthen ties with the Diaspora organization, and mentioned various ways in which the GOJ has historically assisted the group. The board of The Palisadoes Foundation was invited. They took the opportunity to discuss the Foundation’s recent accomplishments and plans for the future. The need to expand tertiary level student internships, like the Calico Challenge, to include exposure to modern collaborative software development tools and approaches so that they are immediately comfortable in using them when they begin their careers. The Foundation’s desire to donate computer server equipment to UWI and UTech through the Jamaica Computer Society to assist in student exposure to international collaboration. The Foundation hopes for continued with the Jamaican Embassy to explore additional ways to strengthen the collaboration between the Jamaican Diaspora and the island. We will also be working with the Jamaican Google team to explore new ways to collaborate on our major programs such as the Calico Challenge. There was great interest in finding ways to collaborate with a few suggestions on how to improve our operations. 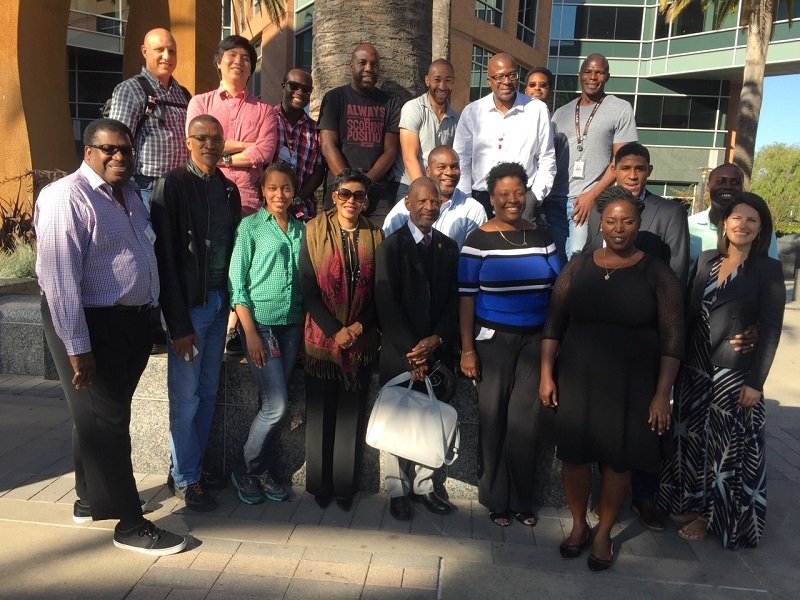 Part of the Jamaican ICT Diaspora in Silicon Valley who met with Ambassador Marks on her recent exploratory visit to the area. The Palisadoes Foundation was originally created to promote the use and development of ICT in Jamaica. Our signature Calico Challenge is a work study program where university students work on open source projects over the summer under the guidance of a mentor. Interest has been strong and we are actively investigating expanding the Challenge to the greater English speaking Caribbean.